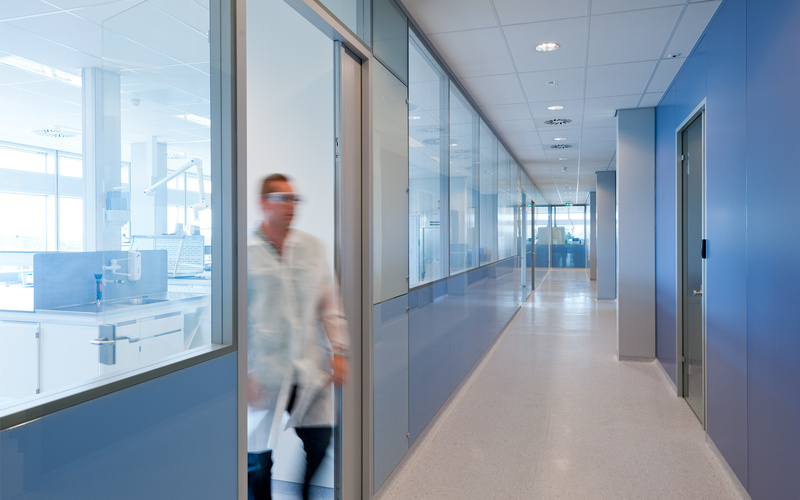 For Synthon Biopharmaceuticals in Nijmegen, we designed a master plan for the accommodation of several state-of-the-art research and production facilities. 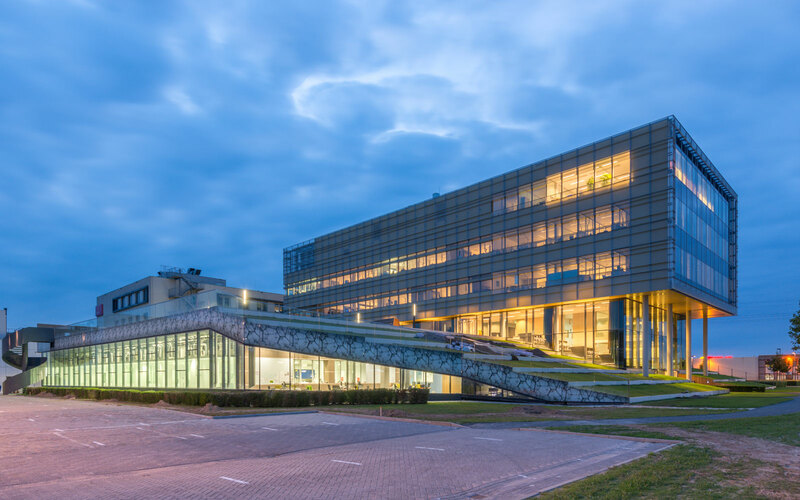 In 2011 Phase I, the multifunctional research building Fast Track Offices & Labs was realised with 7.500 m2 laboraties and offices, designed ánd built within one year. 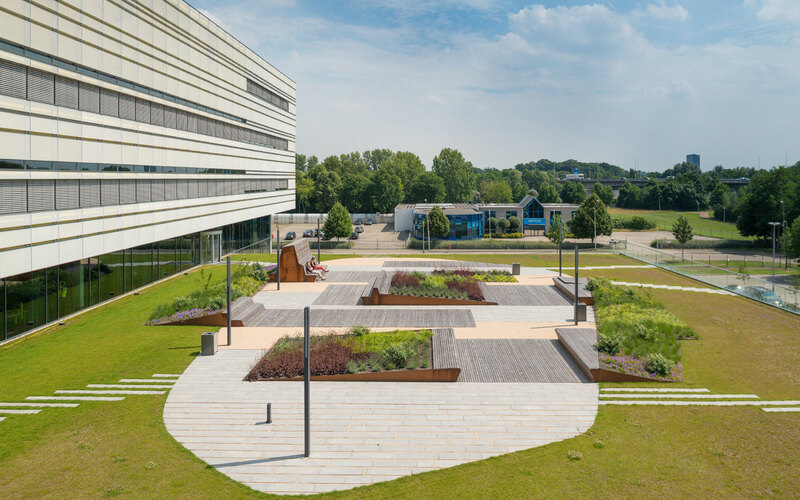 Immediately after the construction of the ADC cleanroom (Phase II) and the mAb cleanroom , the first part of the green roof landscape was realised, which will eventually connect all buildings on the campus. At this moment the ADC2 production facility is being designed with our solid team of advisors which will be the fourth building of the masterplan to be realised. All buildings at the campus are designed and built according to an innovative building process; characterized by complete transparency and dedication of all parties involved. 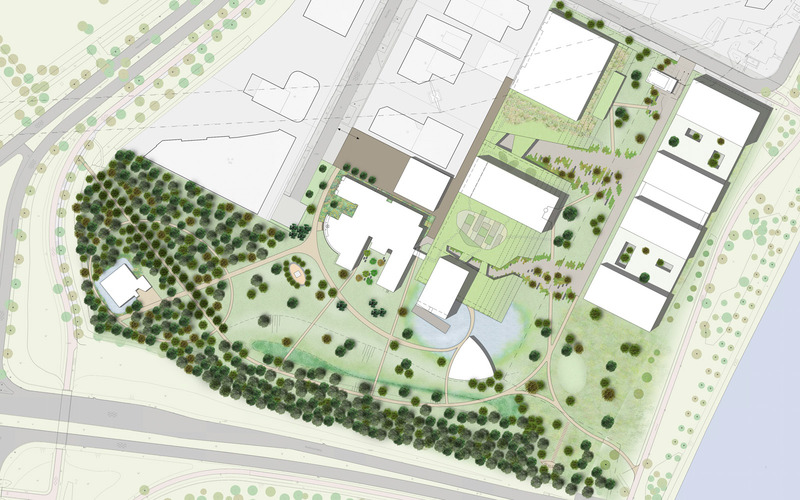 Both for the design of the master plan and for the design of the buildings, the flows of employees, visitors and materials are clearly arranged. The employee and visitor flows are clearly visible; the supply flows are rather concealed. The buildings have a clear structure and overview, therefore the visitors and the employees can easily find their way in the building. The research facilities have to meet up to extremely specific technical requirements. 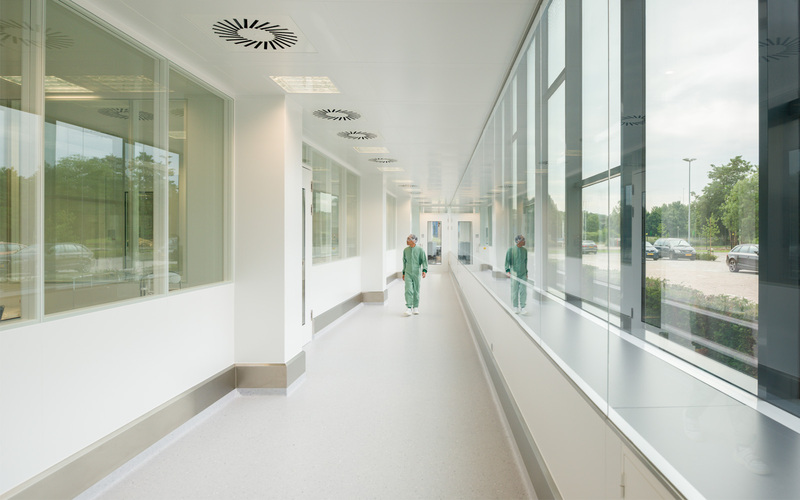 Examples of these requirements are the manipulation of pressure differences in rooms, the possibility to transport toxins and the realisation of very sterile workspaces in which contamination is reduced to a minimum. Synthon’s innovative character demands buildings that can easily be adapted to future development, for instance, when the development process of medicines changes. This flexibility is embedded in open floor plans with inner walls that can easily be moved. Installations are independently accessible and adaptable, since they are placed above a ceiling that can be walked on. 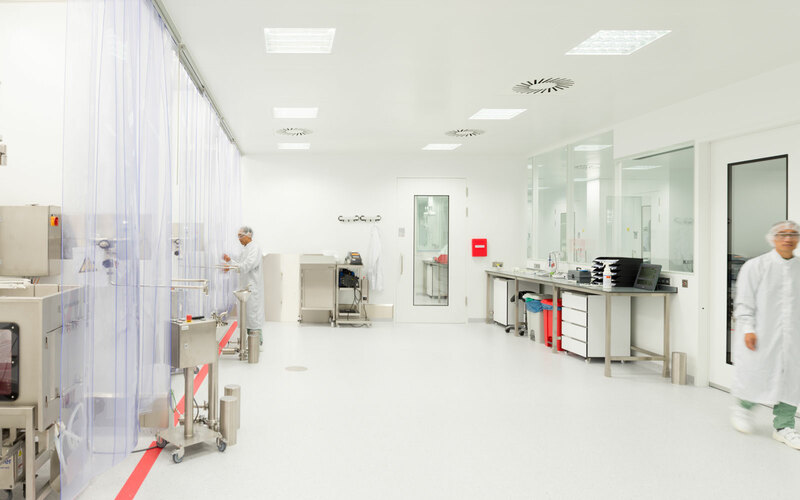 It is also possible to transform a cleanroom into a laboratory and vice versa, depending on the level of sterility required at that moment. 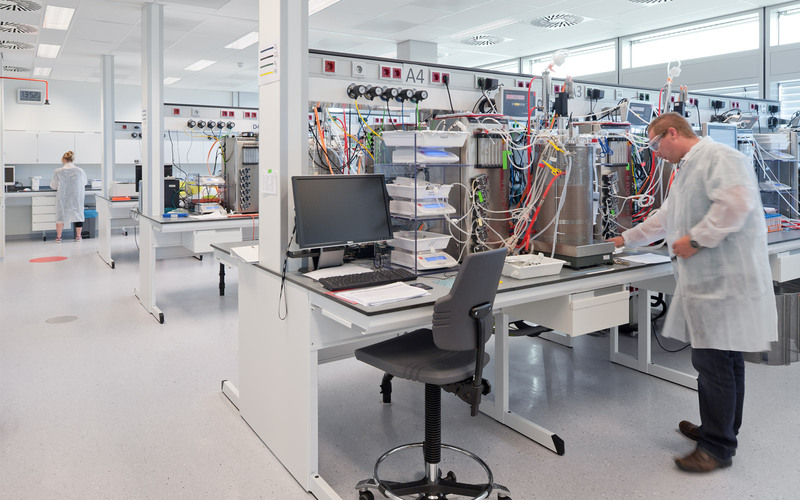 The traditional laboratory is often a space isolated from the outer world, without any natural daylight. 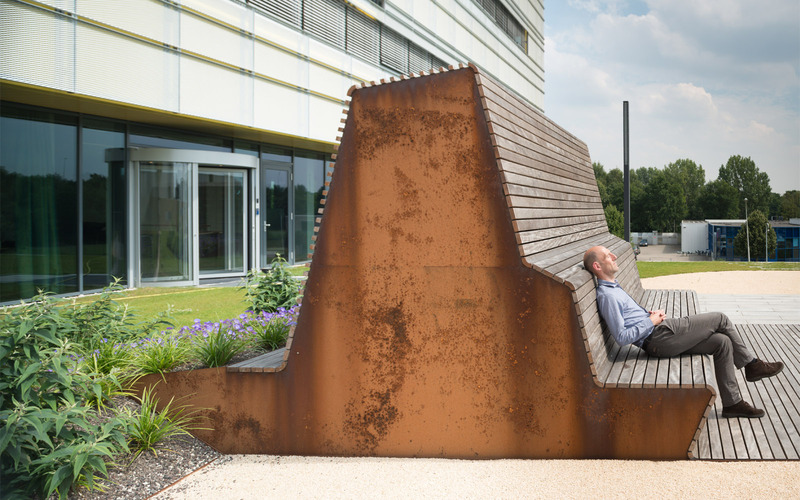 For Synthon, complex laboratories and cleanrooms should not only be technically first-rate, but should also offer a pleasant place to work. 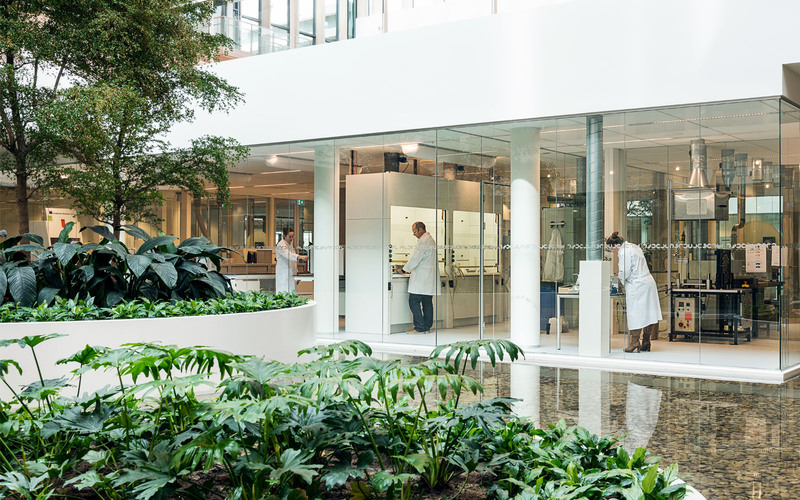 These laboratories are spacious and transparent, are soaked in daylight and have a view. 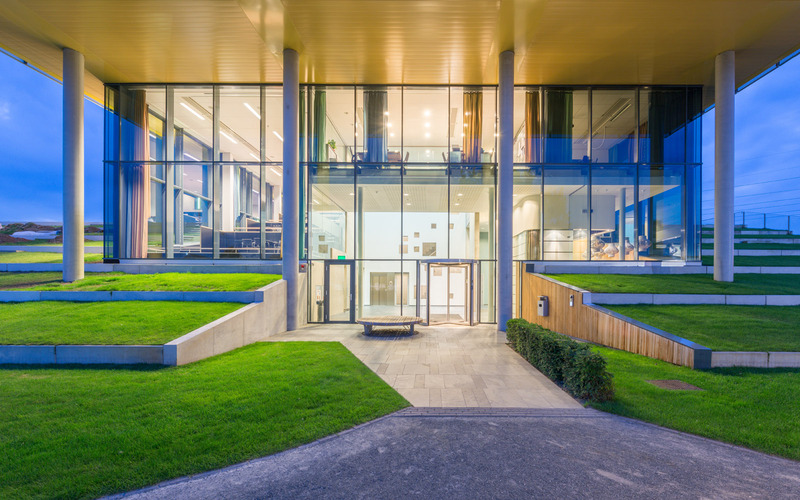 By using glass walls for these research rooms, the transparency of the building increases and this enables interaction and cross-fertilization between the employees. Together with the client, Broekbakema developed an innovative way of collaborating. This allows us to build all the buildings at the Synthon Campus on an extremely short notice and within budget, while at the same time the buildings meet up to the high technical requirements. A traditional process is now subdivided into the design process (what do we want?) and the construction process (how are we going to build it?). By spelling out every detail as extensive as possible in the specifications, we endeavour to control the aimed quality. The traditional process however, often leads to delays and exceeding of the budget. 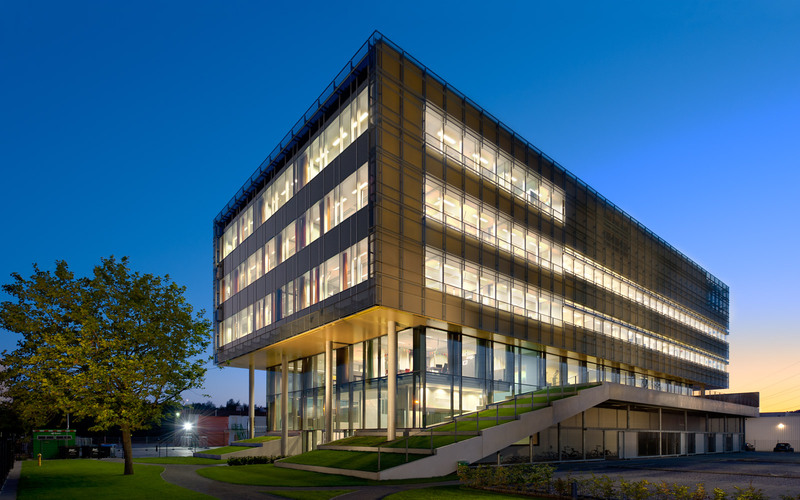 The buildings at the Synthon Campus are designed and built according to an innovative method in which all disciplines are integrated. The process is characterized by complete clarity and dedication of all parties involved. 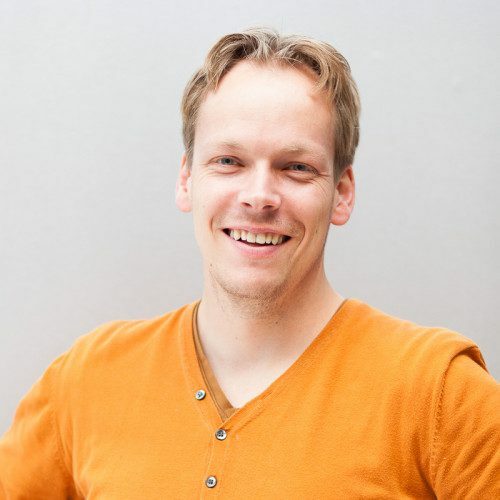 By making all these parties responsible for the decision making and budgeting, a project-based approach founded on trust arises: the ‘bouwteam’ (building team) and completely transparent collaboration. At Broekbakema Lab you can find a comprehensive article about this innovative way of collaboration. We are happy to tell you more about the case Synthon laboratories. We are proud of the fact that our clients identify themselves with our architecture and working methods. 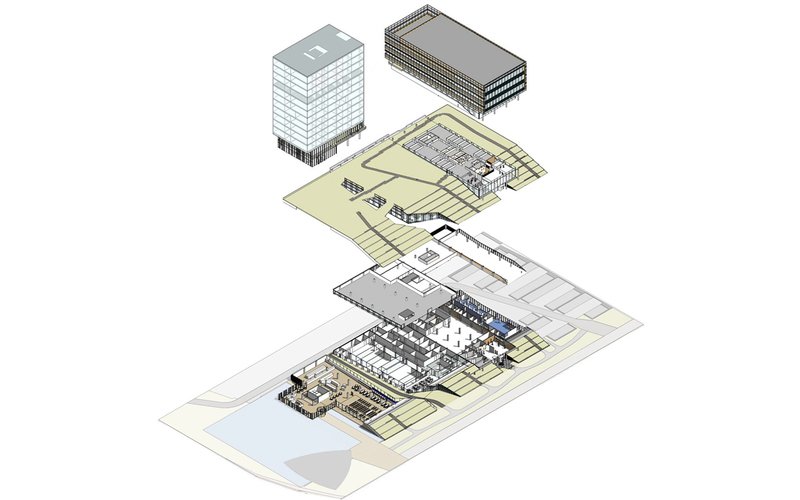 Our portfolio consists of exciting projects: from small redesigns to complex new buildings and complete master plans. We are known for designing high standard environments for education and research and for transforming monuments; for our involved collaboration and our self-evident use of sustainability measures in our designs and for our extensive experience with an integral collaboration process.